Easy piano arrangements of 13 pieces from Pixar's mammoth animated hit.Titles: Carl Goes Up • It's Just a House • Kevin Beak'n • Married Life • Memories Can Weigh You Down • The Nickel Tour • Paradise Found • The Small Mailman Returns • The Spirit of Adventure • Stuff We Did • We're in the Club Now • and more. 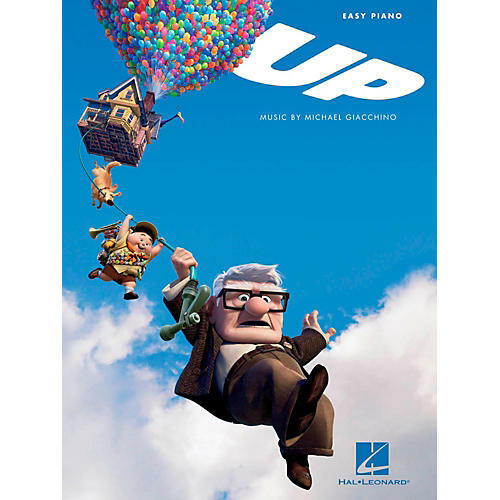 Easy piano arrangements of 13 pieces from Pixar's mammoth animated hit. Titles: Carl Goes Up • It's Just a House • Kevin Beak'n • Married Life • Memories Can Weigh You Down • The Nickel Tour • Paradise Found • The Small Mailman Returns • The Spirit of Adventure • Stuff We Did • We're in the Club Now • and more.